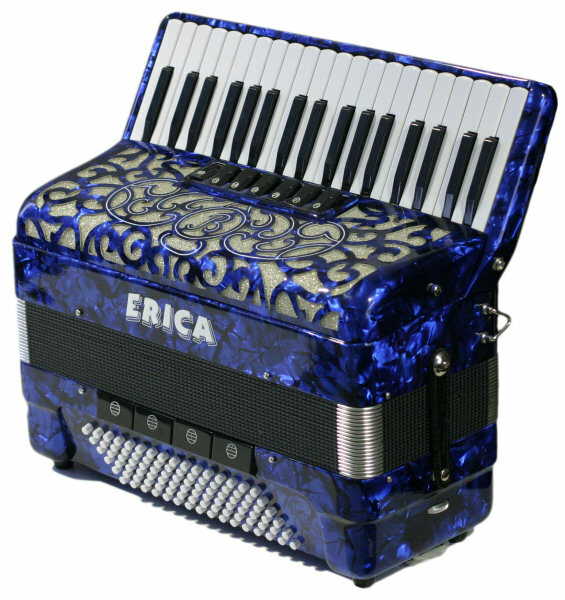 Beltrami Accordions is happy to announce the new born Erica series. It is an economic class instruments line, designed also for young students who would like to join the accordion world for the first time. The new line�s philosophy and purpose is offering high-quality instruments, as usual in Beltrami Accordions factory which production is nowadays recognised in all world, but combining it to a lower and more approachable price, even for youngest customers. 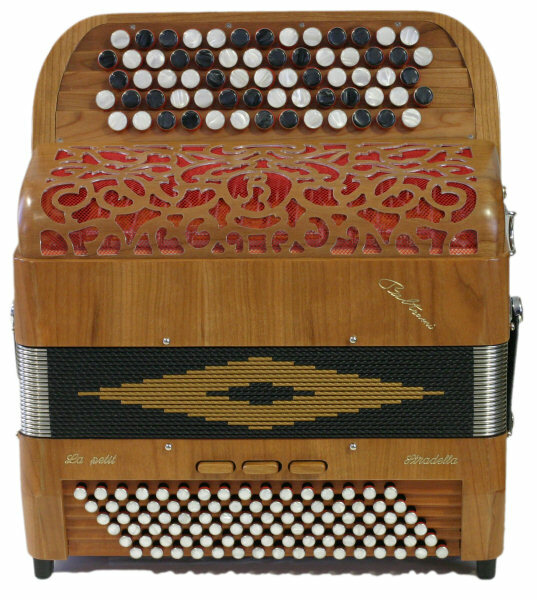 Beltrami Accordions are pleased to announce a new addition to its already vast range of French-system button accordions. 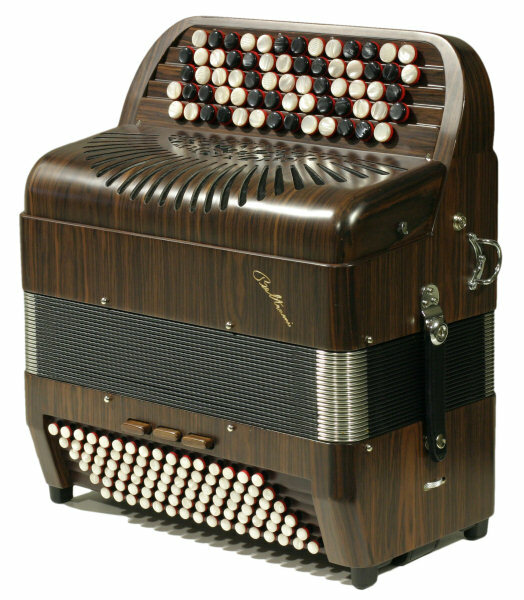 Aptly named La Petite (The Little One), this instrument launches a new series of accordions categorised as �Trad� and is born out of a need for small instruments but with a great performance. The first thing that strikes one about this instrument are its wonderful aesthetics due to its wooden finish which, available in a variety veneers, befits the traditional music ambient where practically all instruments played have a wooden finish. Secondly, the instrument weighs in at only 8.6 kg and being only cm. 35x20x40 is small despite everything contained within its meagre dimensions. Its right-hand manual has a range of 43 notes (two semitone more than a standard piano accordion!) with a five row stepped button-board. Its 3 sets of reeds range from G below middle C to A# three octaves above with its 2 sets of middle (8 foot) reeds. The third set of reeds is pitched an octave below (16�). Naturally this range can be moveable to suit the customer�s needs. 5 registers allow the player to have all the available combinations of sounds obtainable from its 3 sets of reeds. The register levers are situated behind the button-board leaving the grill completely without any sound obstructions. The 96 basses are equipped with 5 sets of reeds where the reed blocks are arranged in an L formation. This maximises the amount of air moved thus giving a particularly ready sound packed with projection power. This is a feature normally reserved for instruments of larger dimensions. Three different timbres are available from the three registers. The reeds are strictly hand-made and are pinned to the reed-blocks which are made of alder wood. This method was chosen because it produces a very incisive sound which has presence even in open air situations with no amplification, an environment where often traditional music is played. The reed blocks are mounted in a particularly accurate way optimising the integrity of the reed blocks by using fewer screws and pins. A fine layer of cork acts as a securing gasket between the reed and the reed block. However if the customer prefers the reeds can be affixed to the reed block by means of wax which will giver a slightly warmer sound. 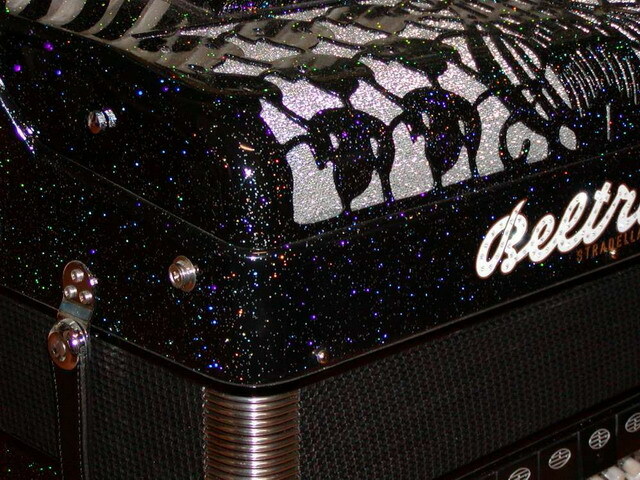 Tuning can vary according to the customer�s needs from the sweetest �swing� to the most strident musette tremolo and all the varying shades imbetween. Of course, the director Claudio Beltrami is always at hand will be happy to help the customer with tuning decisions. 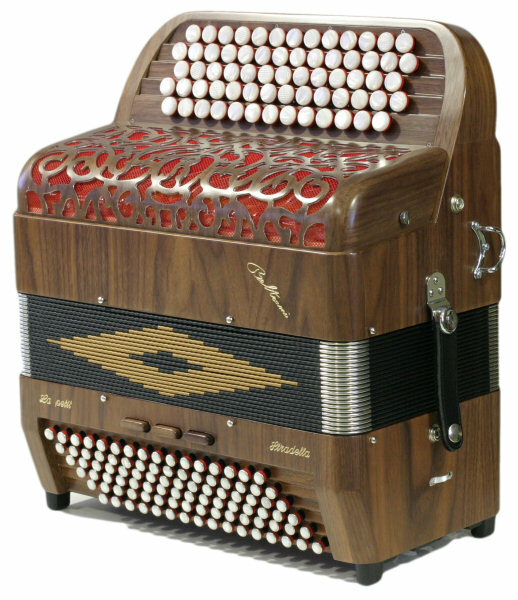 La Petite is indeed a beautiful instrument, with an excellent sound, constructed with near-maniacal care and boasts the kind of technical solutions that will make it a point of reference in the accordion market. Beltrami Accordions location is in Sandro Pertini 28 street, Stradella (PV). We receive (From Monday to Friday) from 8.00am to 12.00am & from 14.30pm to 18.30pm. Saturday from 8.00am to 12.00am. Here in Northern Italy fine food and wine have traditionally been accompanied by accordion music and singing. For more information visit the links below. Beltrami wear: On special request and as an added service to our clients we now stock a selection of Beltrami T-Shirts, Sweatshirts and more. 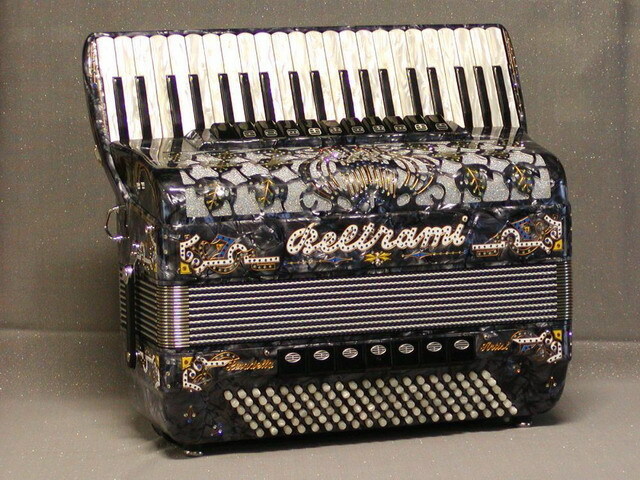 The communications showcase of Beltrami Accordions,for keep yourself up-to-date. To know all the next meeting where you can look,hear & try our instruments. Always updated. 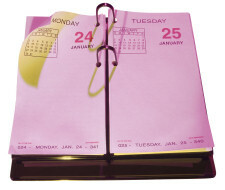 No appointment planned for next days. Come back for bring up to date. 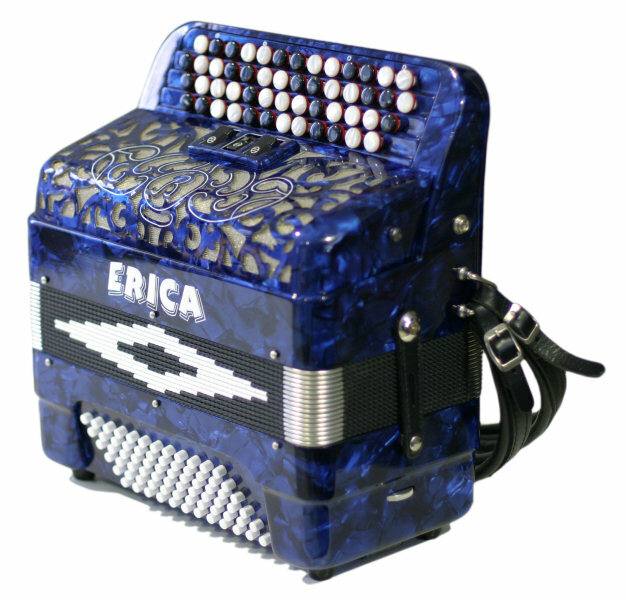 Here you a selections of songs in demo MP3 format recorded with our accordions. Click on the song name for download & for to have more informations,included the model used for the record. In this section we have collected a series of interesting articles about our products, events, artist, accordions & the music in general. Click on title for to read the complete article. Click on the photographic album for look inside. Click on the random shots visualized for to enlarge.